What’s within you that is always there to guide, to hold space, and to celebrate you? As 2018 comes to an end, let’s celebrate all that you are, and create space for more of you in 2019. Whether you’re a first-timer curious about meditation, or a seasoned meditator wanting to grow your practice - no matter your previous experience with meditation - you’re welcomed to join us and thrive together! Sign up now to be an M Insider - get first dibs on events and special treats! #FOMO no more. You'll also receive a gift meditation that will help you get clear + centered + calm, stat. WOOHOO! An email containing our virtual high-fives and a special welcome gift is on its way to you. Look out for it! 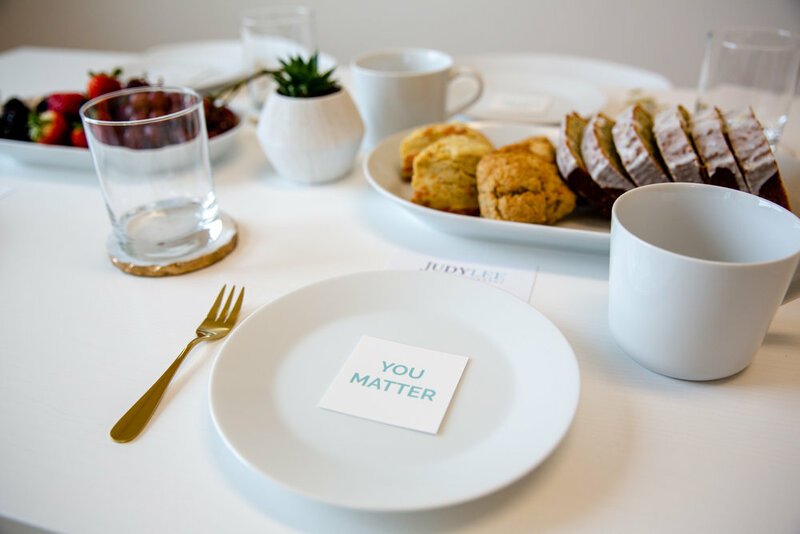 Located in the Ballard neighborhood of Seattle, Judy Lee Photography Studio is called “A Place Where Women Can Feel Like they Matter” because every woman should feel this way when she spends time here. Judy Lee is a transformative portrait photographer. Through photography, Judy inspires you to go on a self-exploratory journey to discover who you are, and see your inherent self-worth so you can show up in the world as your truest self.